WHAT’S BLACK HISTORY MONTH TO ME? When I moved back to the UK in 2003, I joined a Midlands-based artists’ collective called New October Poets. The name was a joke based on the fact that many of the poets involved had noticed that they were swamped with offers to perform in the month of October, but were scraping the bottom of the barrel for artistic work the rest of the year. After a couple years on the poetry circuit I came to realise that this was true. As a group, we were able to attract interest and get work from November to September. Eventually I refused to do Black History Month (BHM) gigs and declared that I didn’t believe in BHM at all. As proof I regularly post black history facts on my Facebook page throughout the year. In contrast, just this week the Black Arts Centre that I work for received a BHM event submission which was a kickboxing title fight. Apparently if you’re black and/or your event occurs in October, it is somehow relevant to black history. 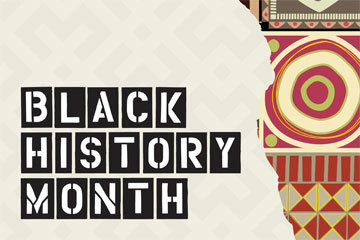 I grew up primarily in the United States where BHM is in February and black people like to derisively complain about being deprived even to the point of celebrating African-American history during the shortest month of the year. I recall an ad campaign for a major American corporation from a few years ago where people of different backgrounds explained in which month they celebrate black history and why. The one I remember most is a middle-aged white woman gardening and turning to the camera to state that she celebrates BHM in January because it is George Washington Carver’s birth month. I appreciate that sentiment. I believe that history is human history and we can be proud of any human being that has made a contribution to culture. I’m not so naïve as to misunderstand that the reason that we have Black History and Women’s History and LGBT History months among others is that there have been many people whose contributions to society have been largely ignored. However, I’ve never heard anyone describe Egyptology as Black History, but frequently as Human Civilization. I have as much a right to be proud of Alan Turing a white, gay, male as I do Claudia Jones who like me was female, from a Caribbean background, Black British and educated in the US. I turned 30 last year and the imminence of parenting has become a realistic possibility. In recent months I’ve been collating the names and dates of birth of people that I think have played an important role in improving our world. People that I want my hypothetical children to have as role models. I have this cutesy fantasy where we have birthday cake for dessert or maybe just raise a glass at dinner and remember these heroes on their birthdays. If I hadn’t started this list it probably never would have occurred to me that Alfred Kinsey, Alan Turing, Wilma Rudolph and KT Tunstall all share the same birthday. Leeanne Stoddart hates writing bios about herself and prefers to write poems about people she loves, fantasies she has, and her hair. She is Birmingham, UK-based and grew up in Birmingham, Alabama. Her collection of poems Unrealistic Expectations and Other Poems, has just been published.